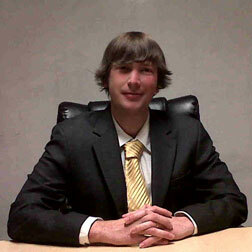 Recent market and economic developments are positive for Gold and precious metals but conditions are not bullish yet. Bullish conditions and bullish fundamentals would be highlighted by a shift in Fed policy. They aren’t shifting yet. They are slowing, which precedes a shift. 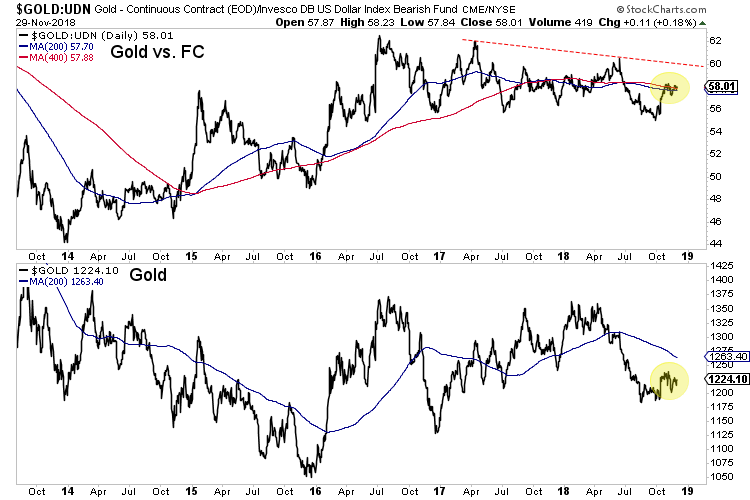 From a market standpoint, we need to see strength in Gold in real terms (against stocks and foreign currencies) and a steepening of the yield curve. These developments along with shifting Fed policy will tell us a new bull market is soon to begin. In regards to Gold against equities, the chart below shows both progress but the need for more strength. Gold remains below its long-term moving average against US Stocks (NYSE). The trend has not turned bullish yet. 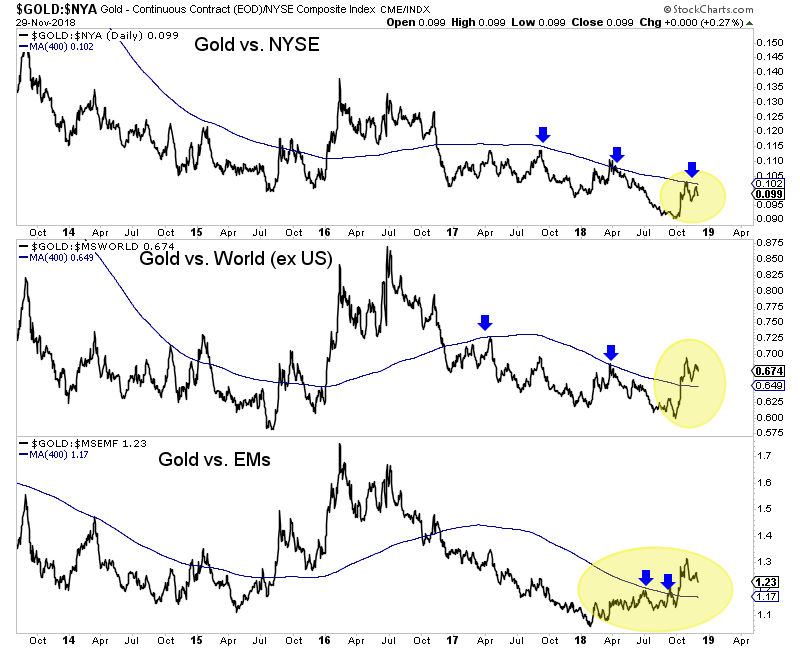 Gold relative to the rest of the world (US excluded) and Emerging Markets has turned the corner but now must prove it can hold above the long-term moving average. Gold relative to foreign currencies is at an interesting juncture as the chart below shows. Over the past month it has been battling with a confluence of resistance right at its 200 and 400 day moving averages. From a market standpoint, the stock market is key as it will front-run Fed policy. It’s a reflection of the economy and health of corporations. A stronger stock market means tighter Fed policy. That could go out the window if and when the S&P 500 loses its recent lows at the 400-day moving average. But these lows could hold for several months. The yield curve continues to flatten, which is not bullish for Gold. Steepening is. Although the Fed said something about rate hikes coming to an end and the market now expects only two more hikes, the conditions are not there for Gold. 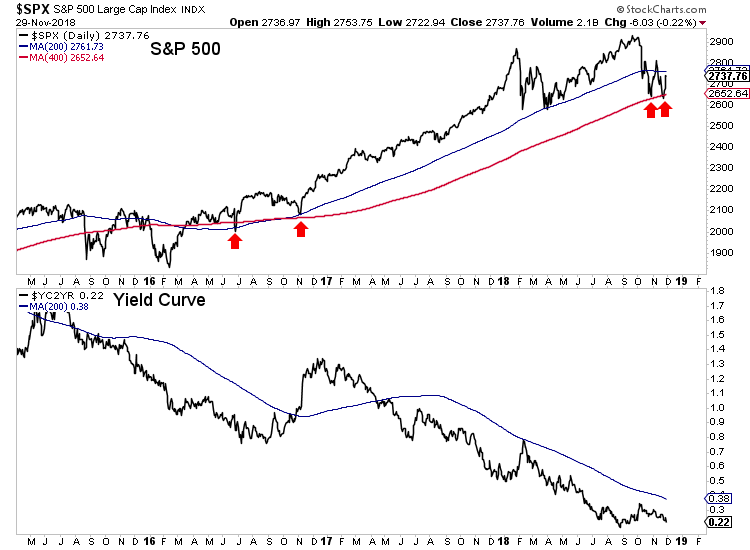 On the fundamental side, history argues that conditions turn most bullish after the last hike and when the market begins to discount a new rate cutting cycle. It appears we are still months away from the last hike. On the technical side, there is improvement in the leading indicators but nothing definite yet. Gold has not broken out of its downtrend relative to US stocks nor has it broken out against foreign currencies. These things should happen before a bull market begins. In the meantime, don’t try to catch falling knives or chase weakness as there will be plenty of time to get into cheap juniors that can triple and quadruple once things really get going. Moreover, the start of the next bull looks to be more than a few months away. Consider our premium service which can help you ride out the remaining downside and profit ahead of a major bottom in the sector. To prepare yourself for an epic buying opportunity in junior gold and silver stocks in 2019, consider learning more about our premium service.